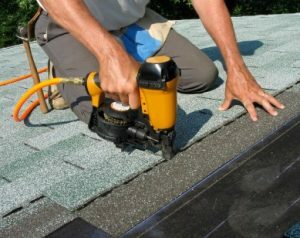 Increase your home’s curb appeal and energy efficiency with our superior replacement roofing! A replacement roof adds value to your home, increases curb appeal, boosts energy efficiency, and protects your home from wind and weather. With so much riding on your new roof, don’t trust the job to just anyone! Turn to Tight Line Exteriors—Greater Atlanta’s first choice for quality home improvements. Since 2004, our locally owned business has been your trusted resource, providing top-rated roofing products and expert installations at cost-effective prices. Atlanta roof replacement is a significant investment, so call the company Marietta, Roswell, and Alpharetta homeowners have counted on for more than a decade! Top-Rated Roofing: Your roof protects your home, so new roofing isn’t a job you want to award to the lowest bidder. We use only top-rated roofing brands for quality you can rely on. Impressive Selection: We offer a comprehensive array of shingles in many materials, styles, and colors, so it’s easy to find a replacement roof that will complement your home. Expert Installations: The installation of your new roof is just as important as the materials. Our team is highly trained and has the expertise needed to provide expert installations. Industry-Leading Warranties: Your roof will come with a manufacturer’s warranty of up to 50 years! Flexible Financing: Our competitive prices and simple financing options make it easy to budget for the quality replacement roofing you deserve. Contact us today to learn more about our quality roofing, professional roof repair, and other remodeling services! Give Tight Line Exteriors a call to speak with a courteous member of our team, or fill out our online contact form to request your free, no-obligation Atlanta roof replacement estimate.